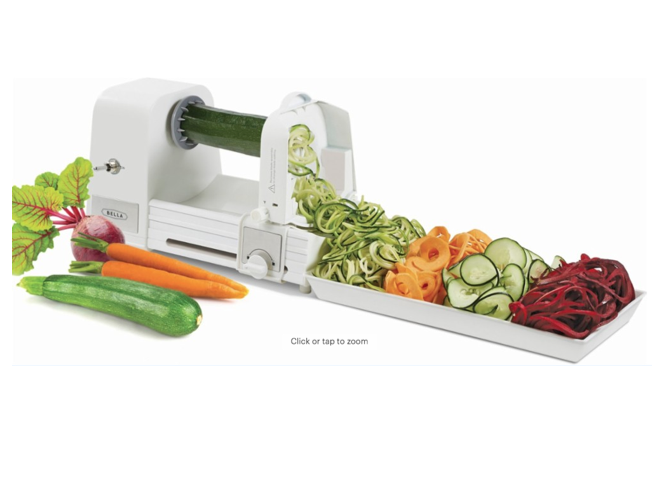 Make veigies more exciting with this Bella Electric Spiralizer for only $19.99 shipped (Reg. $39.99) from Best Buy. One-touch operation with auto-move blade For true hands free operation. Accommodates vegetables up to 6″ long For convenient use. Auto-stop function Stops once the spiralizing has been completed. Snap-on bowl Holds the spiralized vegetables and also nests below the unit for easy storage. Dishwasher-safe removable parts For easy cleaning.